If you are serious about engaging long range targets out in the unpredictable field accurately, you must have a bipod. 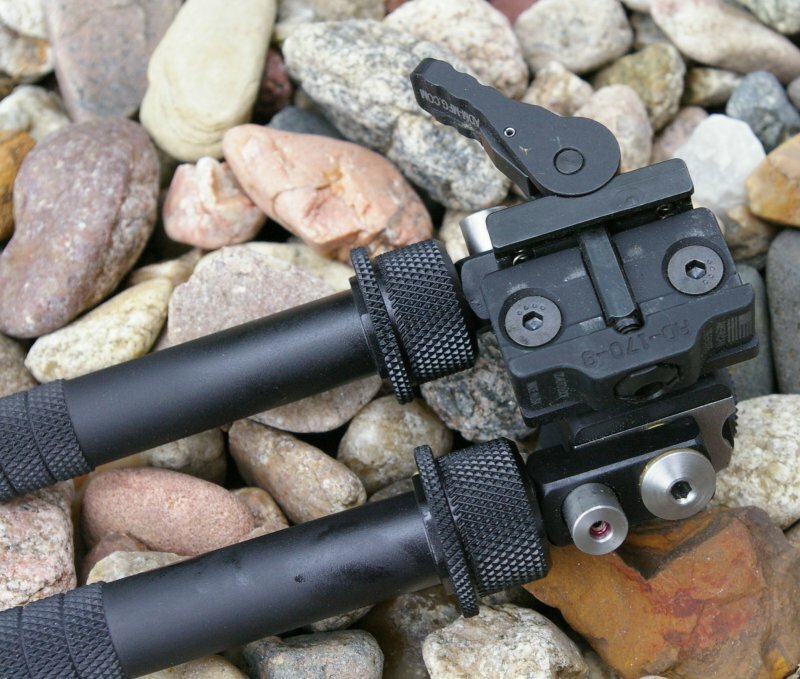 A bipod can provide a shooter with a rock solid platform for precision shot placement. Bipods typically are secured to a forend via a sling stud or picatinny mount and usually fold against the stock for transport and have some leg adjustment, however that is not enough flexibility for a serious shooter. 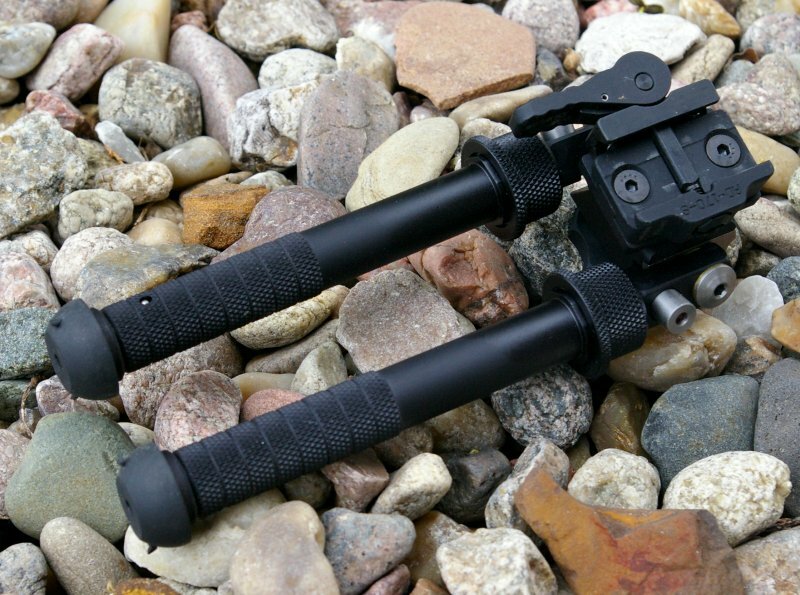 The Atlas BT10-LW17 is considered the pinnacle of bipod design and quality. As the Greek God Atlas supported the heavens and earth, the Atlas Bipod is sure to be strong enough to support any weight of firearm you might mount it too. The Atlas bipod is stronger, more flexible and lighter than any other similarly featured bipod and thanks to the lever actuated picatinny rail, it instantly attaches and detaches from any picatinny railed forend such as the YHM Yankee Hill Machine 20" upper I pictured here. 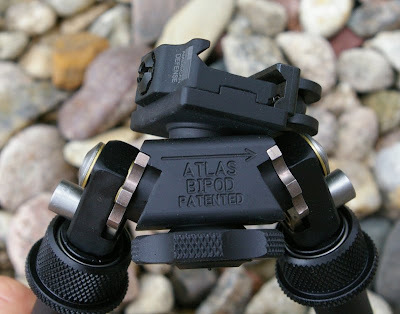 The Atlas bipod is made in the USA by Accu-Shot - B&T Industries. After forgetting a sandbag for adjusting his buttstock for fine shot placement, B&T was founded in 1997 delivering elegantly simple and durable buttstock monopods. 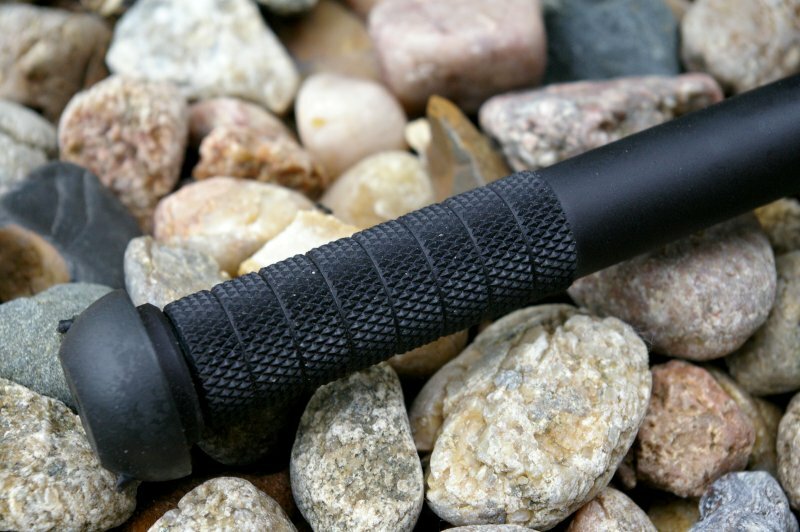 These precision shooting accessories were an immediate hit and were quickly acquired by serious shooters, military and law enforcement snipers. 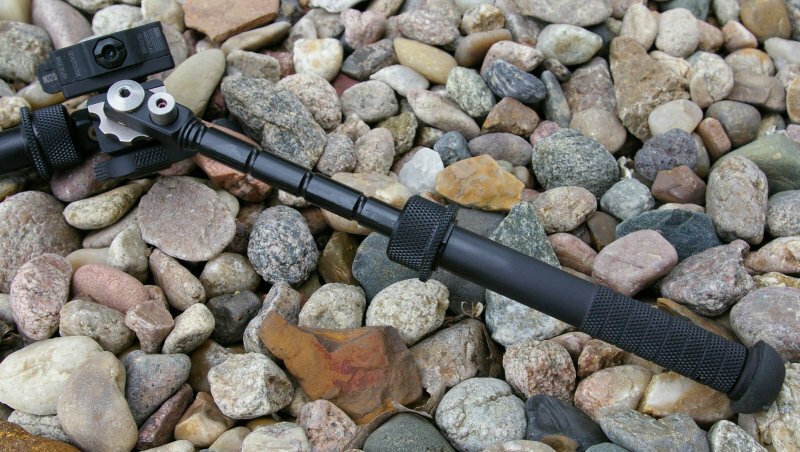 Today B&T Industries not only still makes the finest quality buttstock monopods, but now also makes the world’s finest bipod for your AR or other firearm. The fit and feel of the Atlas Bipod is second to none with impeccable quality and innovative engineering you would expect on aircraft grade parts and on industrial art in the Museum of Modern art. Honestly, the quality of most firearms this bipod will be mounted to will pale in comparison to the quality of the Atlas Bipod. My old Harris bipod looks like a piece of junk compared to this. Despite the Atlas Bipod’s beefy appearance and construction of machined stainless steel and aircraft grade aluminum, the entire bipod only weighs 12.7 ounces including the picatinny mount which is about a half a pound lighter than the next competitor. The legs on the Atlas Bipod can be deployed and locked into five positions in 45 degree increments either forward or backwards through a 180 degree arc. Push the button on the leg and move it independently to the position desired and the button lock automatically locks the leg in place. There is nothing worse than a target appearing just to your left, right, or you find your position canted ever so slightly after you have settled into a rock solid position, but never fear, B&T has added 30 total degrees of left to right Pan as well as 30 total degrees of Cant. The added flexibility of being able to Pan or Tilt the rifle to align the crosshairs is a feature most bipods do not provide and usually leaves the user wedging rocks under the legs to get everything into position. With the Atlas, you can just twist the rifle into position and take the shot regardless of the terrain or odd shooting position. There is also an adjustment knob provided to adjust the tension from movable to locked. Even the lowest position of tension allows you to move the rifle but still provide enough tension to hold the position through the shot. At this point I have used this bipod on around a dozen AR format rifles ranging from a S&W M&P15-22 to AR15s, to my DPMS 308 format ARs and I can say it is a superb bipod. 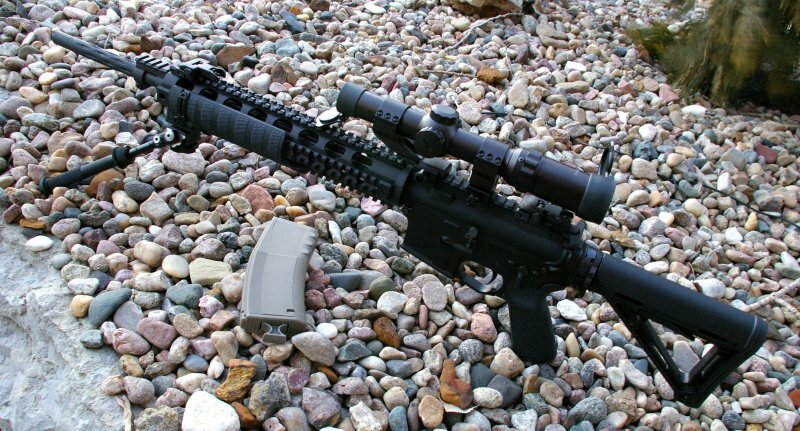 This is the same bipod I have used time and time again for most of my accuracy testing. 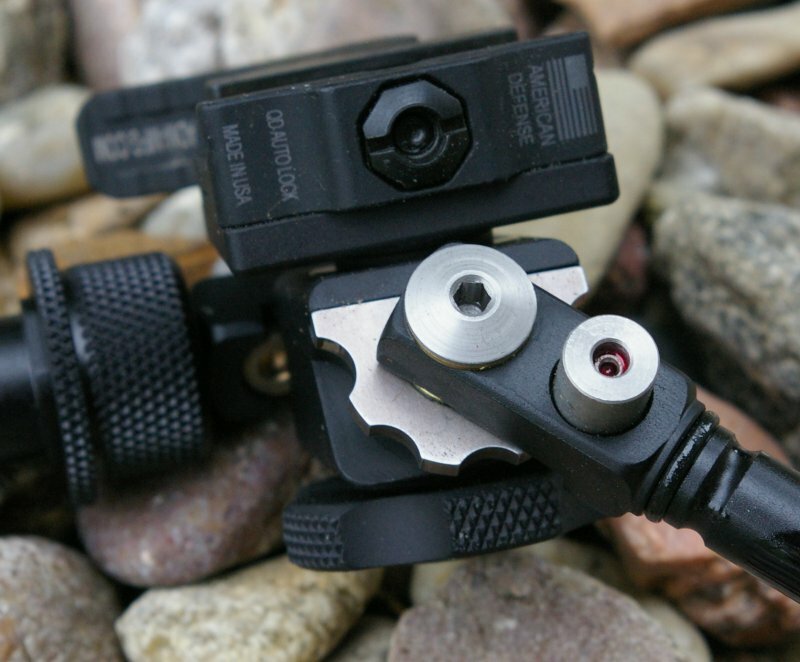 What I have found extremely handy is the instantaneous quick attach and detach capabilities of the picatinny rail lever mount. 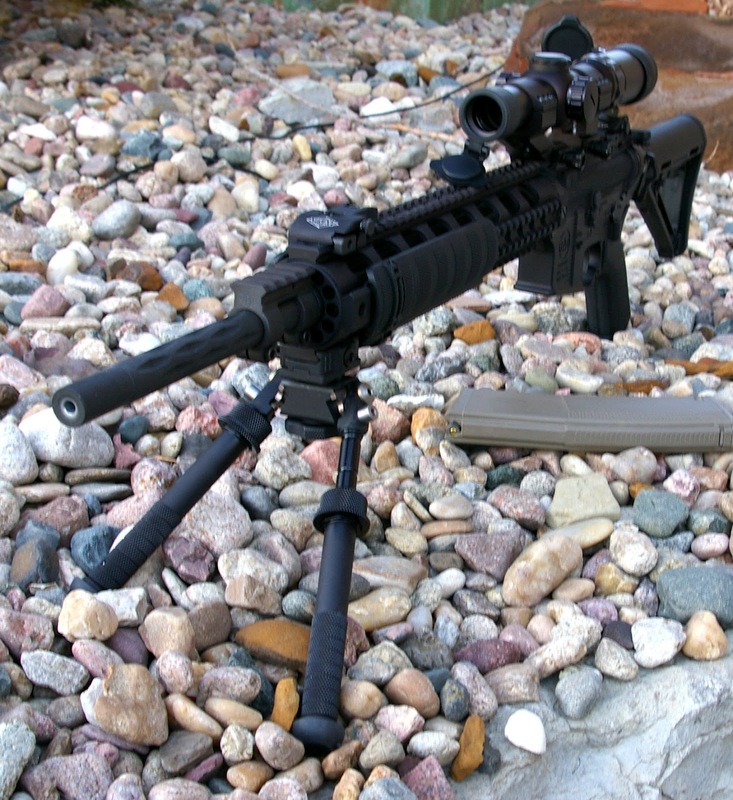 In a second, the bipod can be attached and ready for use so there is no reason to keep it attached all the time. After some suggestions from great shooters, I have been attempting to shoot longer ranges from more uncomfortable positions which means more flexibility is required from the bipod to compensate for poor positioning. For military and law enforcement snipers and hunters the perfect position is not always possible and may require adaptation. 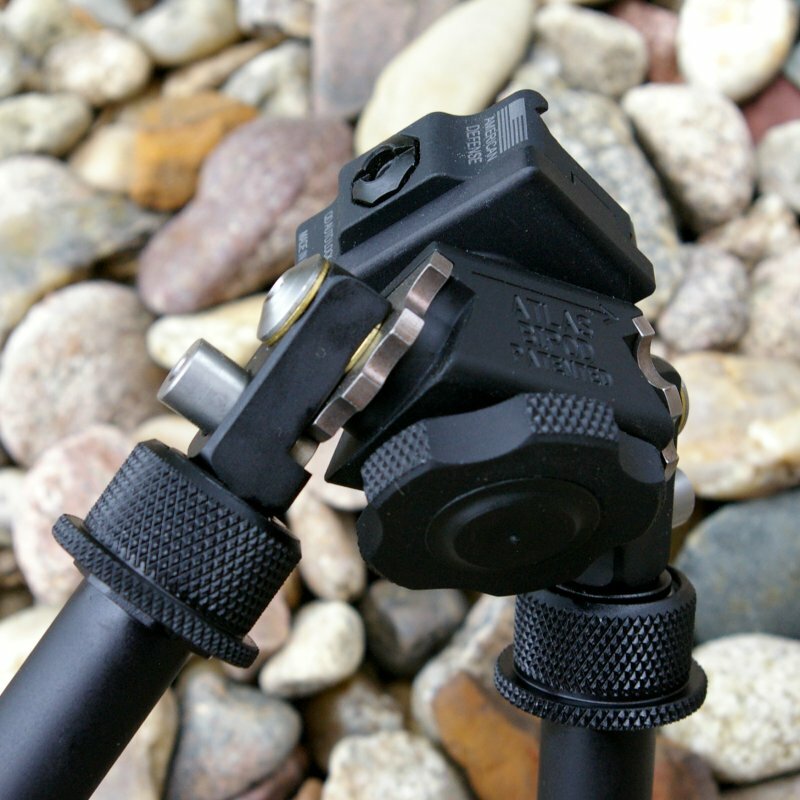 The Atlas bipod provides that needed flexibility regardless of the situation. The Atlas bipod is the Greek God of bipods and is one serious piece of equipment for serious operations, hunting and bench shooting work. Yes, it is expensive, but given the features, quality, engineering and most importantly the flexibility of use, the Atlas Bipod is worth every penny. That investment is money well spent as it can service all your firearms. Instead of buying a cheap bipod for each firearm, the quick release lever Atlas picatinny mount can be moved from one firearm to the next in under a couple seconds and provide more enjoyable and accurate shooting on all of your firearms. The B&T Industries Atlas Bipod is the finest bipod you can buy and will allow you to take the shot confidently each and every time... maybe that is the reason B&T is selling these by the truckload to Special Forces, Military snipers, and law enforcement. Height Range approximately 4.75 – 9.0"